The partnership has brought the two companies together for the Magnum ice cream app, using iBeacon. 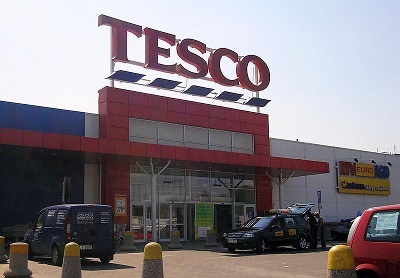 Tesco has announced that it has entered into a partnership with Unilever in order to roll out geolocation technology in the form of iBeacons in 270 of its stores. This location based tech will function to trigger exclusive savings opportunities and offers. Through the use of geolocation technology, consumers who have downloaded and installed the Mpulse mobile app will receive offers and discount coupons whenever they pass within a certain distance of one of the participating Tesco locations. The iBeacons will be installed into the Tesco Express stores within the first rollout of this tech. It will become the largest trial of location based marketing that either of those massive brands has experienced. The initial geolocation technology based campaign will trigger offers for the Black and Pink Magnum products. These push notifications will be sent automatically to passersby in order to give them the opportunity to take advantage of special deals that will remain valid from the time that they receive them until the end of the month. The Mpulse app is available for download at both the Apple App Store and the Google Play Store. The geolocation technology based mobile app was developed using Urban Airship tech, by the Karmarama agency. It functions in conjunction with iBeacons, which create a type of geofence around a specific location. Customers traveling within that designated area will receive the deals through their apps.